Scooper - Entertainment News: What? 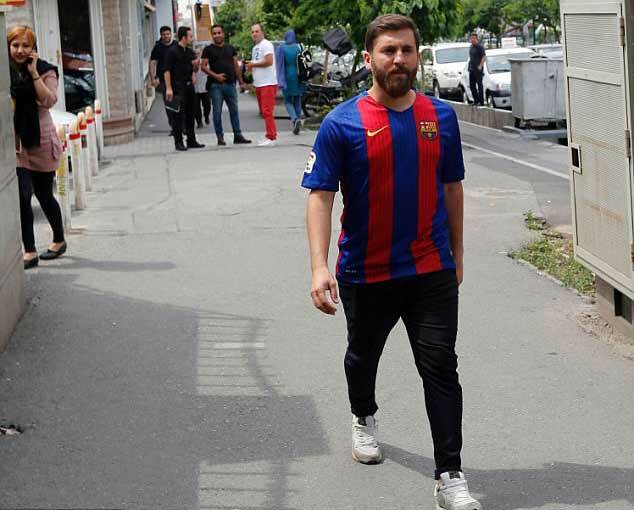 A student's car was sequestrated as he looks like Lionel Messi! What? 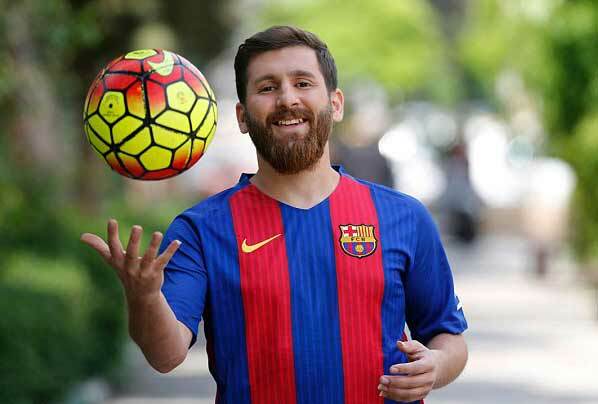 A student's car was sequestrated as he looks like Lionel Messi! The furore began a few months ago when Reza's football-mad father pressured the 25-year-old into posing in a number 10 Barcelona jersey. They sent the pictures off to a sports website, and got an immediate reply asking him to drop in to see them. Reza is working on some tricks to become more like Barcelona's Lionel Messi. 'I sent them one night and by the morning they had called me and said I should come in quickly for an interview,' he said. Despite his early reluctance, Reza soon grew into his new role, cutting his hair like Messi and often donning the Barca jersey when he goes out. It has paid off - he is fully booked with media interviews and has even landed modelling contracts. 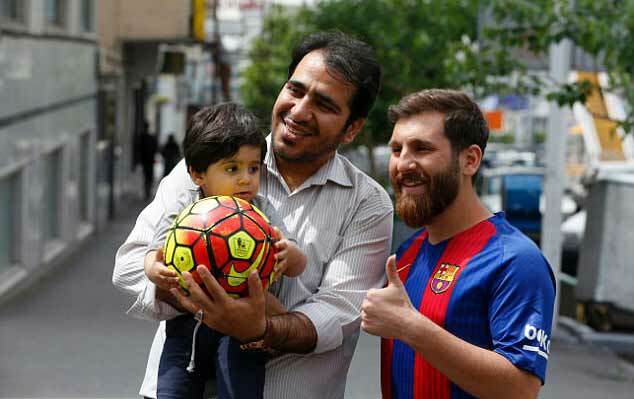 'Now people really see me as the Iranian Messi and want me to mimic everything he does. 'When I show up somewhere, people are really shocked,' he said. 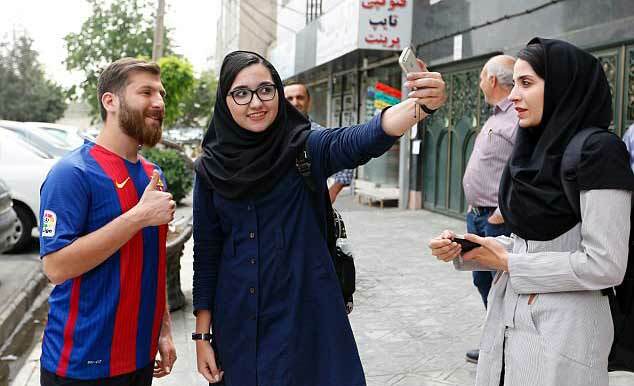 Iranians are obsessed with football, and Reza finds himself constantly besieged by fans looking for a selfie. 'I'm really happy that seeing me makes them happy and this happiness gives me a lot of energy,' he added. 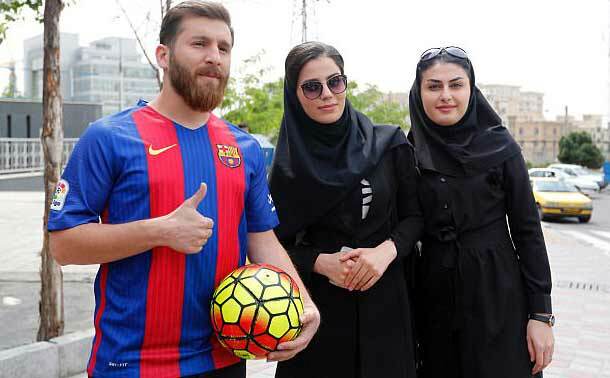 The Messi lookalike loves football, but has never played professionally, so to up his game he is working on some tricks to make his act more believable. The relationship has not always been a smooth one between the student and the global superstar. During the last game between Iran and Argentina at the World Cup in 2014, Messi's 91st-minute goal robbed the Islamic republic of a place in the last 16. Reza's dad was furious. 'After the game, my dad called me and said, "Don't come back home tonight - why did you score a goal against Iran? ", the lookalike said. 'I said: "But that wasn't me! ",' he said jokingly. His goal now is to meet his hero in Barcelona, and maybe even land a job as his understudy. 'Being the best player in footballing history, he definitely has more work than he can handle. 'I could be his representative when he is too busy,' Reza said.